2017 Follow the Clues Winners! 2017 Vintage Scavenger Hunt Winners! 2017 Mount TBR Final Check Point Winner! 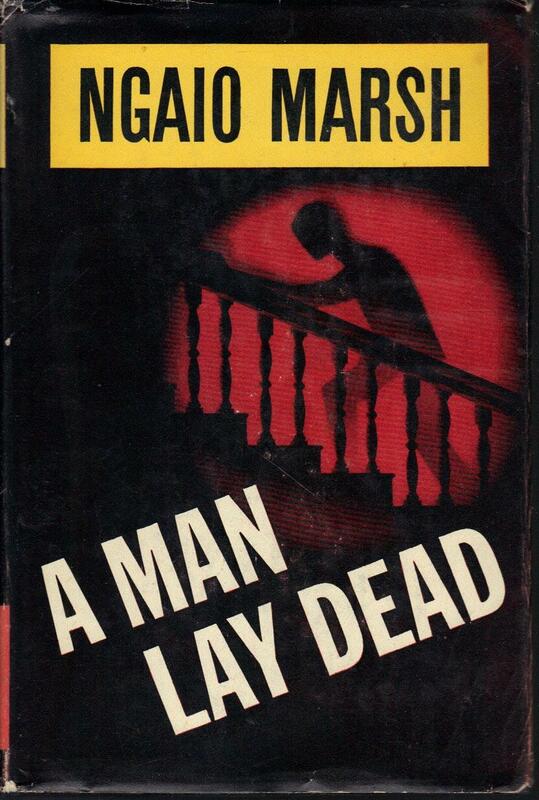 A Man Lay Dead (1934) by Ngaio Marsh finds us in a typical country house mystery setting. Sir Hubert Handsley is well-known for his country house parties full of dancing, "rags," and general shenanigans. This weekend he decides to invite guests to participate in the latest thing among those "in the know"--Murder. Invited to the doings are Charles Rankin--ladies man and privileged scoundrel who manages to put up the back of nearly everyone he meets; Nigel Bathgate--Charles's cousin (invited strictly on that strength) and journalist who's looking for a big story to make his break into the big-time; Rosemund Grant--in love with Charles and expecting to marry him; and Arthur and Marjorie Wilde--an archeologist and his attractive wife. Also on hand is Angela North, Sir Hubert's niece, who is a thoroughly modern girl and an intelligent love-interest for Nigel; Dr. Tokareff--a Russian with knowledge of Russian secret brotherhoods and weapons; sundry maids; and Vassily,a Russian butler who also knows about weapons. They all gather for pre-dinner drinks and Sir Hubert describes the game--in which one member of the company will be given a red placque by Vassily to indicate their status as Murderer. She or he will have until 5:30 pm the following day to plan their attack and must then proceed to "murder" someone ("You are the corpse") between 5:30 and 11 pm. Then the clue-finding, cross-examining, and deductions will begin. Sir Hubert has a vast collection of weapons and in the midst of comments about what a lot of choice the murderer will have in doing away with his victim, Rankin reveals that he is carrying a dagger himself. It is an extremely valuable, extremely sharp weapon and the Russians immediately dispute his right to the dagger--it apparently is a ceremonial dagger belonging to one of those Russian brotherhoods....an ideal weapon with plenty of intrigue behind it to add spice to their game. 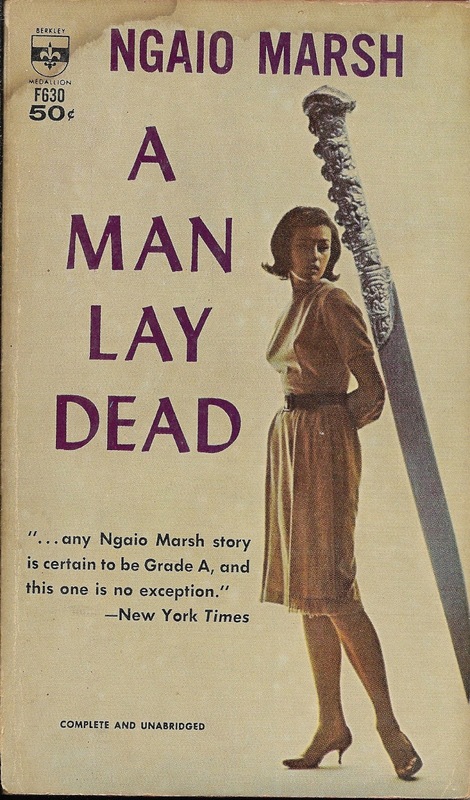 It's been a long time since I read the first book in Marsh's Inspector Alleyn series (back when I discovered her at our local library some 30-odd years ago). I had quite forgotten about the Russian intrigue and I had also forgotten that Sergeant Fox was not Alleyn's right-hand man in this one. Nigel Bathgate is an okay Watson and even has a few shining moments, though why Marsh had to have him fall into the hands of the Russians and have pins stuck under his fingernails is beyond me. Bathgate does serve his purpose, though, he provides the eyes through which we observe Alleyn and learn about him in this first story. And since he (Bathgate) has a journalist's interest in the affair it helps keep the reader focused on the story. 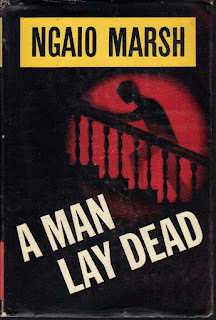 I'm fairly certain that this was my first fictional introduction to the "murder game" playing a part in an actual murder. I've read several variations since then, but I still remember my sense of surprise when they found Charles dead near the cocktail table. I sensed that the game would go awry in some fashion--but I wasn't quite sure just how at the time. With Bathgate as an integral part of the story, this fulfills the "Journalist" category under "Who" in the Golden Detective Notebook for Just the Facts, Ma'am." Also = my Freebie choice for the Book Challenge by Erin 8.0. I read this about 5 years ago and confess I remember nothing about it. Even your plot summary doesn't ring a bell! 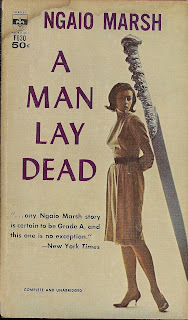 I just read this for the vintage mystery challenge as well! And I did note that Alleyn isn't particularly three-dimensional in this book, so I'm glad that future installments of the series will flesh him out more. I enjoyed the Murder Game hijinks and found the solution clever, but I could have done without the Russians (since it is literally never the Russians). Sounds quite interesting and I've never read this particular author. Will have to check to check her out.